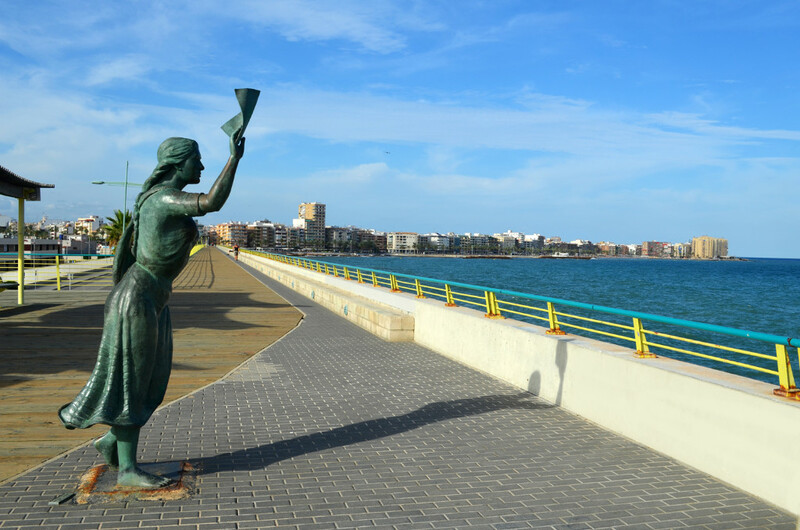 Torrevieja is a fabulous beach resort situated about 50 kilometers south of Alicante airport on the Costa Blanca offering so many fun activities for children of all ages and adults of all interests. Buzzing with activity in the summer, the town has wide open beaches, waterparks, sports centres, beautiful parks, museums, boat trips, shopping centres, all kinds of restaurants and bars, as well as a long list of cities close by to discover on day trips. 1. Torrevieja beaches. The most popular beach is Playa del Cura next to the port but do not miss Los Locos beach and the Playa de La Mata sandy beach where you can enjoy the practice of sports or go for a stroll along the boardwalk. 2. A visit to Torrevieja salt lakes that provide 700,000 tonnes of salt which is exported around the world for commercial use. This is an idyllic spot where flora and fauna come together in a unique environment. 4. Kids will love the funfair situated next to the port where they can enjoy great rides and plenty of action. Nearby there is an evening market where you can pick up souvenirs. 5. Torrevieja street market. Located in a new enclosure next to the water park, the market features over 80,000 square meters offering crafts, clothing, food, decoration items, etc. These are only a few of the activities you can enjoy when staying in your property in Torrevieja, Costa Blanca, Spain!